When it comes to home construction and home improvement projects, there are some features and plans that deserve professional attention if you want them done accurately and hiring a concrete contractor is one of those excellent ideas. When you have a concrete project that is upcoming you should be asking yourself if you have the expertise and professional qualifications to complete the job. You are most likely better equipping yourself if your hire a professional concrete contracting company. Port St Lucie Epoxy Pros offers clients expert concrete contracting for projects big and small for all your concrete structure needs. Do-it-yourself concrete related work is not ever a good idea because it requires specialized knowledge, particularly when using materials and mixing techniques that require in depth knowledge of temperature and geography and location of your structure. Our concrete contracting team offers years of experience and professional knowledge and practical skills for installing concrete structures. This will ensure that any project you have will be conducted with accuracy and the right mixing techniques. There is a science and skill to concrete construction and not every contractor has the expertise or training to provide you with expertise that creates durable construction projects. In the end, you can save a great deal of time when you hire a professional concrete contracting company to install your concrete. There might be several concrete contractors in the Port St Lucie region but if you’re not hiring one that has the expertise and experience you need, the job will not be accurately accomplished. This will cost you money and time. Our professional team offers services that far outweigh any benefit to do-it-yourself attempts or amateur or inexperience contractors can offer. Your concrete project likely has taken up some of your resources and you likely do not have money or time to waste or second and third attempts to conduct accurate concrete projects. We have the expertise you’re seeking to get your concrete project accomplished with accuracy and we are good at what we do. You will have the peace of mind that we have years of experience mixing concrete. It’s not a simple task, which just involves throwing sand and water together. You need quality materials and in depth knowledge of the process. Our concrete contracting team knows the St Lucie region, well and our years of experience in the area means we have in depth knowledge of how location and geography as well as weather can play a critical role in the accuracy for mixing concrete. In fact, accuracy is critical to have a long lasting concrete structure that does not crack or form fissures with changes in temperature and weather. We know what it takes to complete a successful and beautifully installed concrete contracting plan. 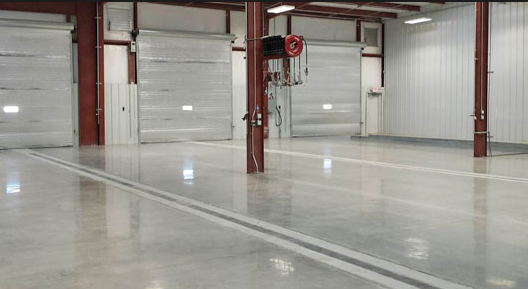 Whether you require industrial flooring, polished concrete, decorative concrete or some other type of concrete needs, we provide exceptional workmanship. This is because we know the Port St Lucie region and the many geographical challenges that can erupt while planning concrete contracting plans.